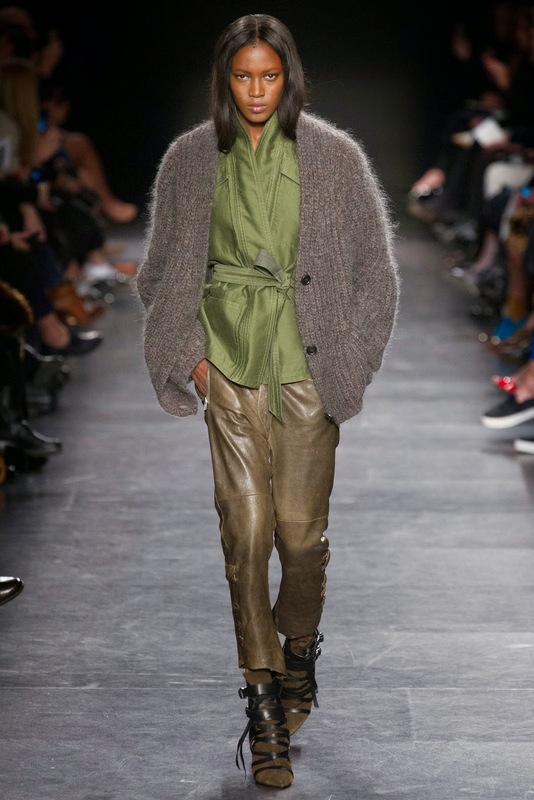 I want to talk about Isabel Marant today. 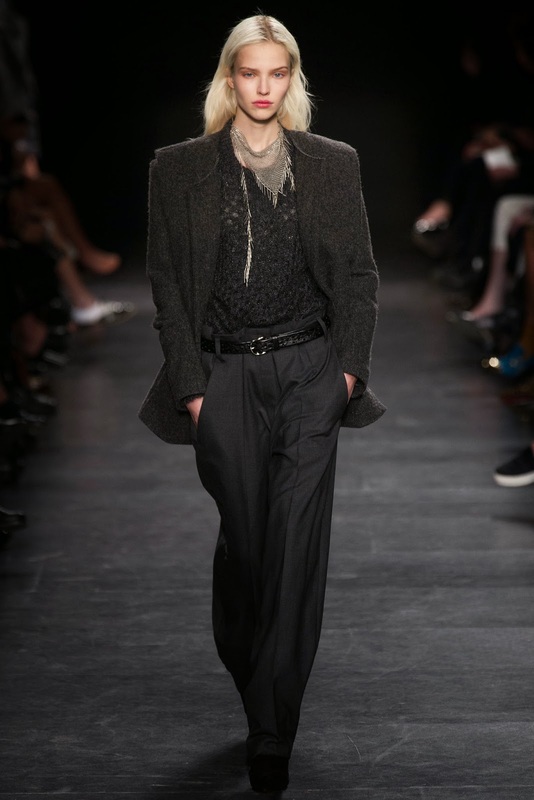 I haven't really mentioned them before, so it would be good to dwell into their AW14 collection. 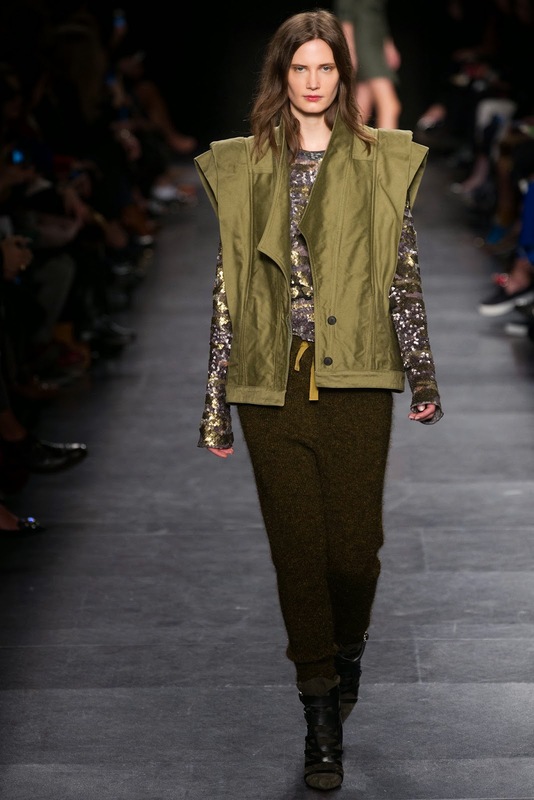 If I'm being completely honest, I noticed Isabel Marant as I was researching Karlie Kloss. I love her personality and look she gives to the fashion industry, so I was interested in what she had done and what shows she had walked in so far in her career. 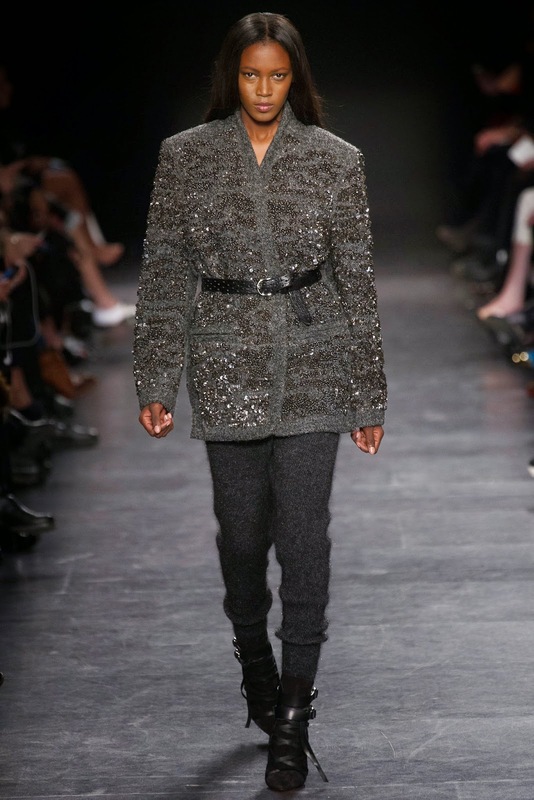 I noticed that she walked the Isabel Marant AW14 (Fall) show, and I had an urge to look at the collection and write about it. It's different from what I would usually blog about and I needed to share it with you all! 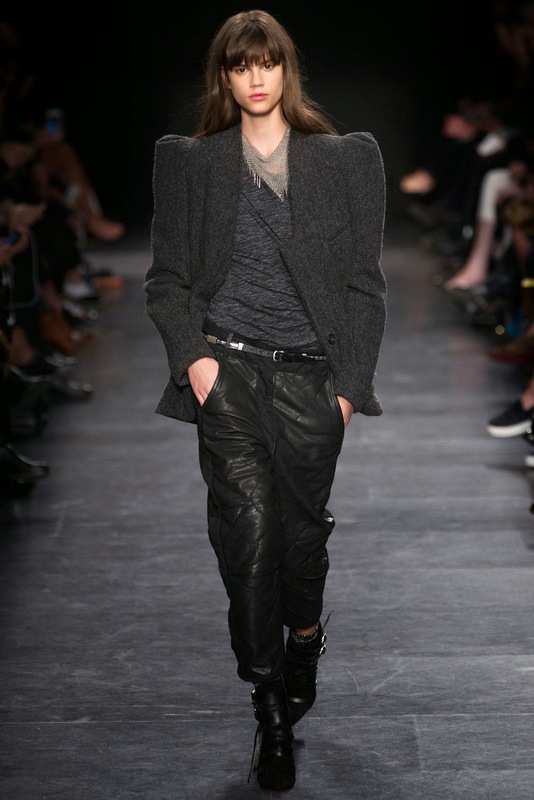 In my opinion, some of the pieces had a resemblance to Balmain. They both went for a similar Safari Chic look this year. (Check out Missguided's 'Shop By Trend' Queen of The Jungle pieces here). 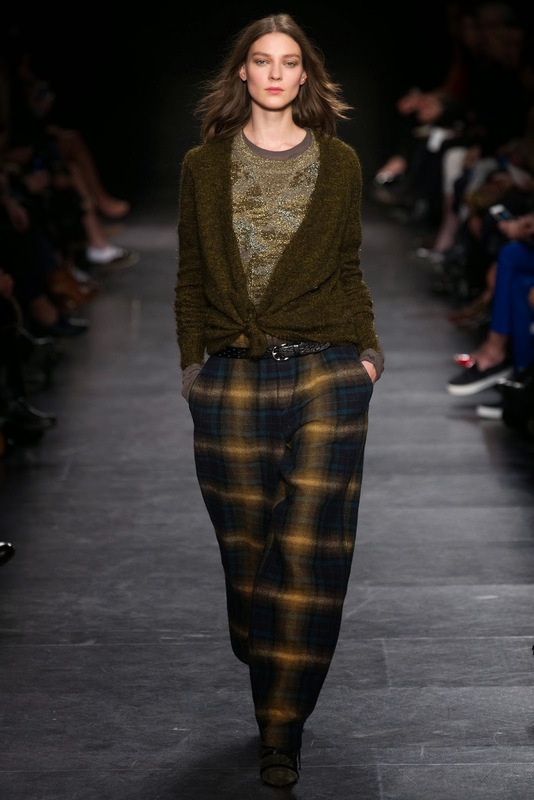 Khaki , comfy bottoms were a feature aswell as oversized coats in a Autumny Toned Tartan print. Isabel Marant's capsule collection had sold out within a day of release in H&M, so my expectations were high before I viewed this one. 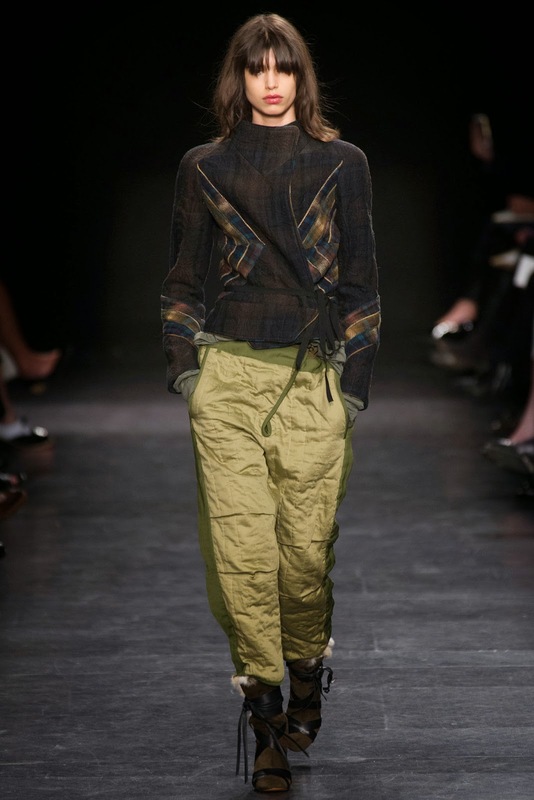 I also read that the reviews for Isabel Marant was that her collections were somewhat "slowing down" and not necessarily delivering what the bloggers, editors and fashion lovers were expecting. As I have only just really researched the fashion house, I had a fresh view and opinion on her. I was really impressed! Although I am a huge fan of tailored pieces, I am all for those comfortable winter pieces that you just want to feel good yet effortlessly stylish in. 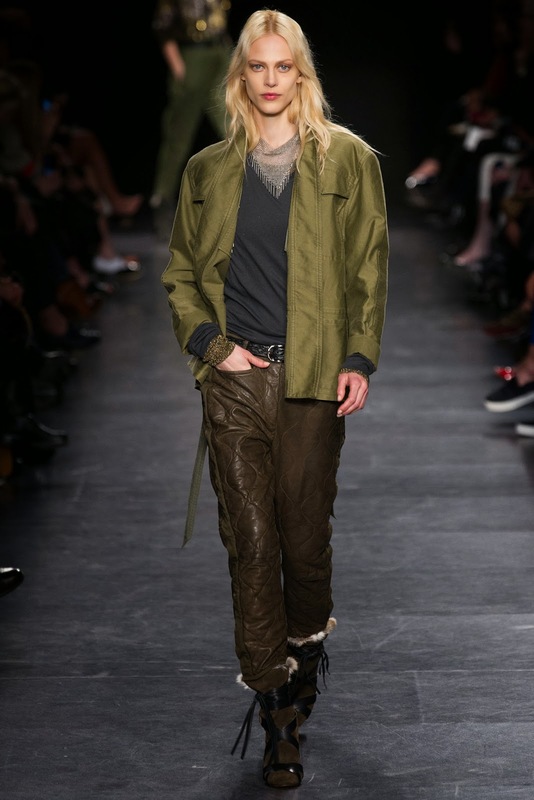 I think Isabel Marant had really delivered that this year. When it comes to high end designers, we tend to stereotype them as somewhat, perfectly tailored, diamond-incrusted pieces, and that is actually usually not the case. All different fashion houses give us unique collections that really reflect them as a brand. I think with this collection, Isabel has given the brand a more laid-back feel, and sometimes this is what we need in the industry. Not all women are comfortable in tight pieces - so seeing this collection literally is a breath of fresh air! 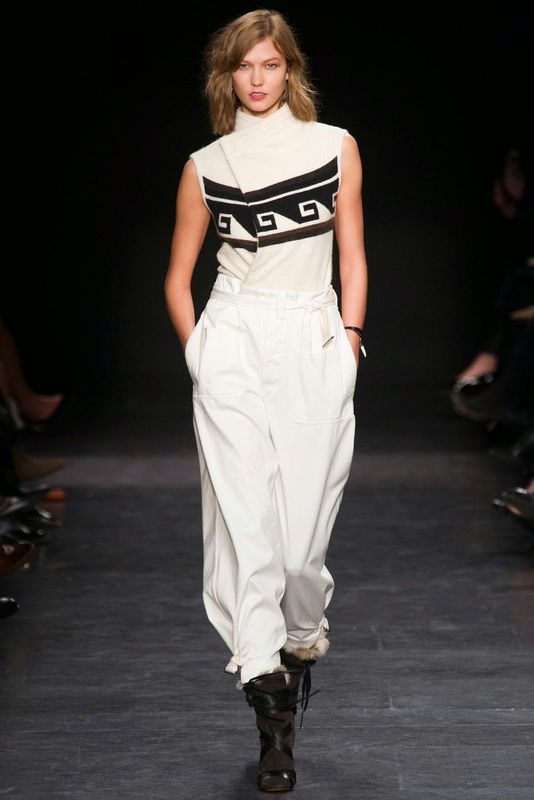 The first looks to grace the show were white/cream/black looks generally. More of a winter, snowy feel. I think that's what Marant was conveying with the beautiful winter boots (I'm dying to have a pair :(!!!!). 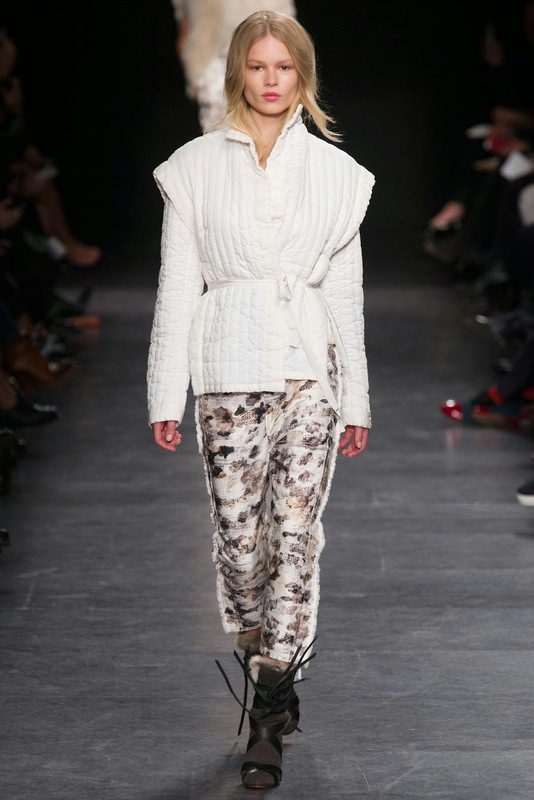 Fluffy jackets were a talking point with baggy trousers for an off-duty look. The print on the dresses, in my opinion, really did resemble Versace, nonetheless, you can definitely tell they're two totally different brands, just by looking at the collection. 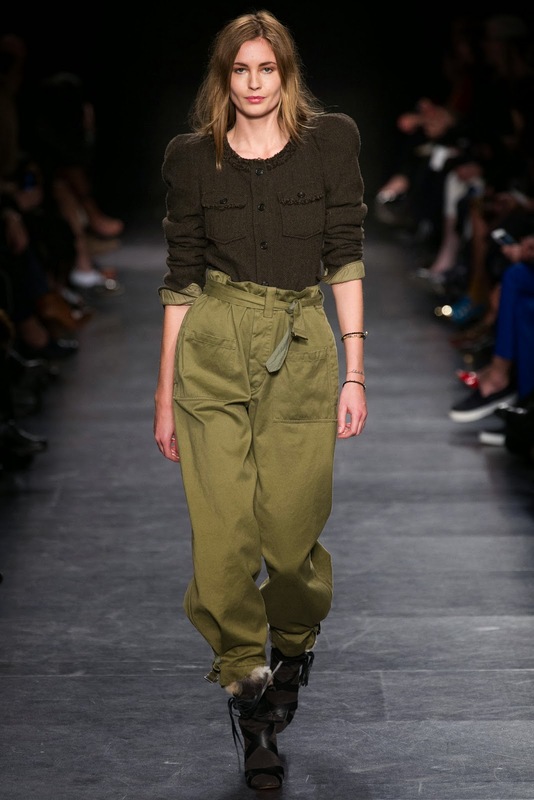 As Marant said she wasn't a fan of frilly things in winter, this was definitely reflected with her boyish styled looks. The great thing about this collection is that even if you're a girlie girl (like myself) there are so many pieces within this set that are perfect for us. I was also transfixed upon the sparkly pieces towards the end of the show. 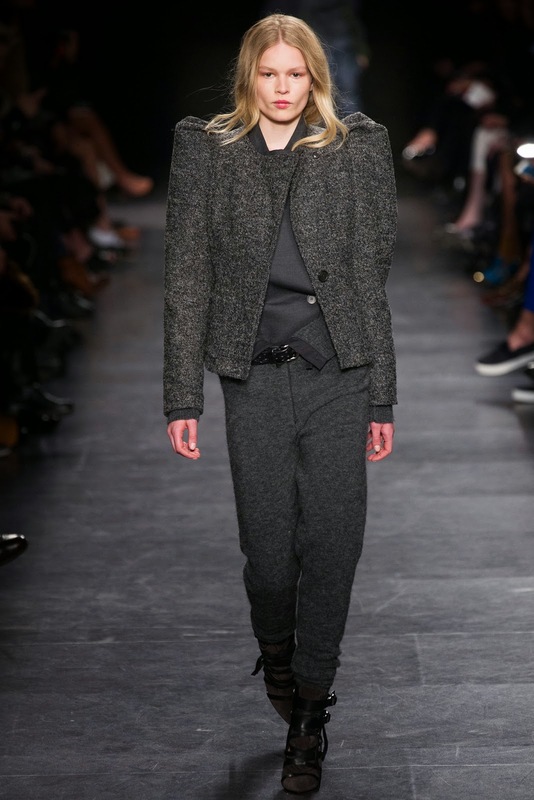 It was unexpected considering the looks before had been bold and boyish. Such a contrast, which is great as the collection will fit many individual styles - not intended just for one type of client.